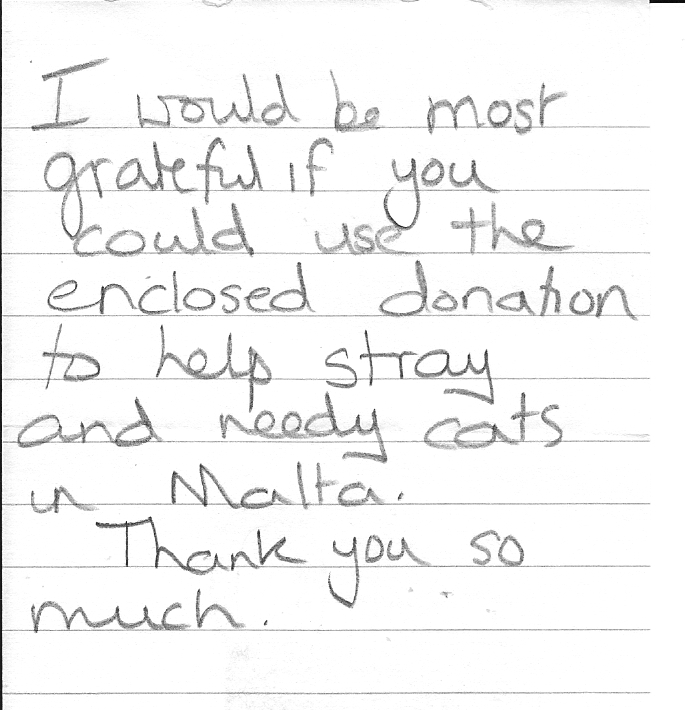 We received an anonymous donation @ € 20,-- from the UK in our letterbox. This is soooo sweet and we would like to thank the sender! 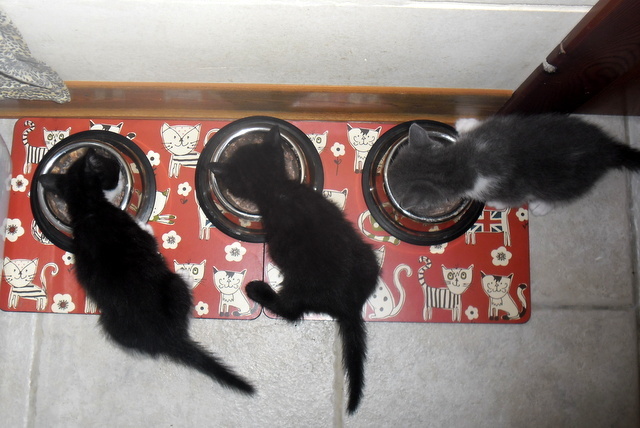 The kittens started eating by themselves today! Yoohoo!!!!! They're so beautiful and lovely! Felix came worse and worse. He still couldn't use his hind legs and these last 2 days he was covered in urine (with blood) because he couldn't hold it anymore. 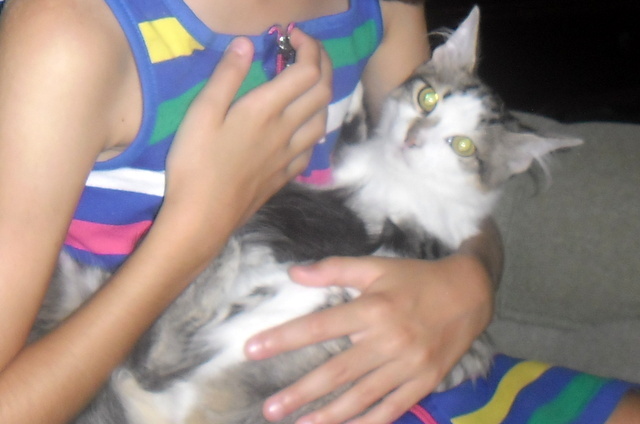 Filomena passed away last night. 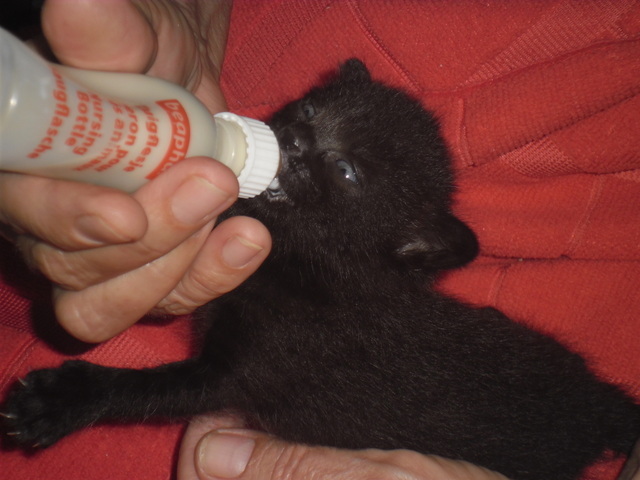 She was found in a colony on the 14th April 2013, skin and bones. 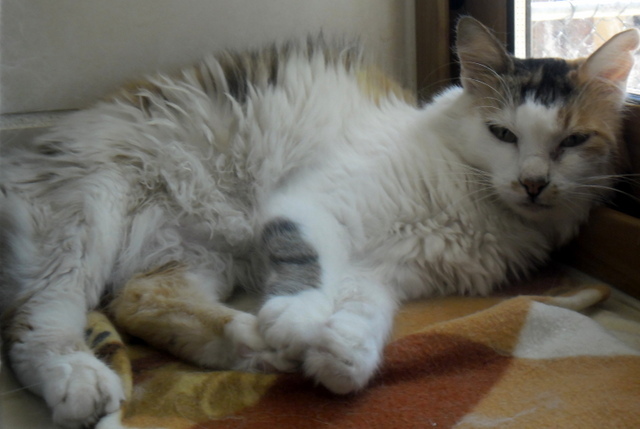 She died of old age and at least she spent her last 4 months with us, in a loving home. Our volunteer Anne-Marie was at the Splash Summer Club to tell the children about our work. The vet felt a lump and an ultra-sound was made, which showed he has a hematoma which is pressing on the intestines and on the nerves. Felix went to the vet again for a check-up. He had the same injections and hopefully he will be a bit better tomorrow; on Thursday another check-up. The vet told us that there is a good chance for recovery so we keep our fingers crossed! Saturday night we noticed that Felix couldn't use his hind legs anymore! Although his leg is not broken, the bone showed that he must have had a big blow (from a car?). 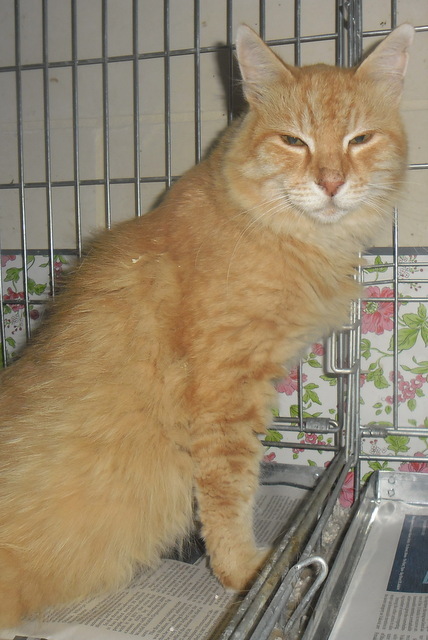 He had several injections, also for his (still) severe diarrhea. It's so upsetting not knowing what happened and what's wrong with him! 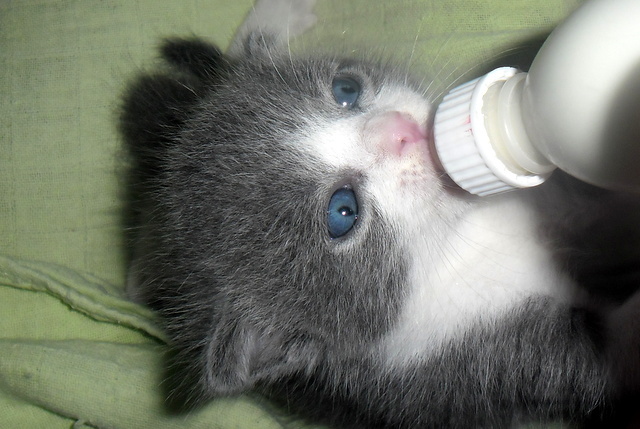 Bottle-feeding the kittens is a lot of work, besides taking care of all the others..., but at least they are healthy and good babies, they never cry and are already purring! Several females were caught and neutered and we're taking very good care of them in our recovery. Blue Eye is one of them. 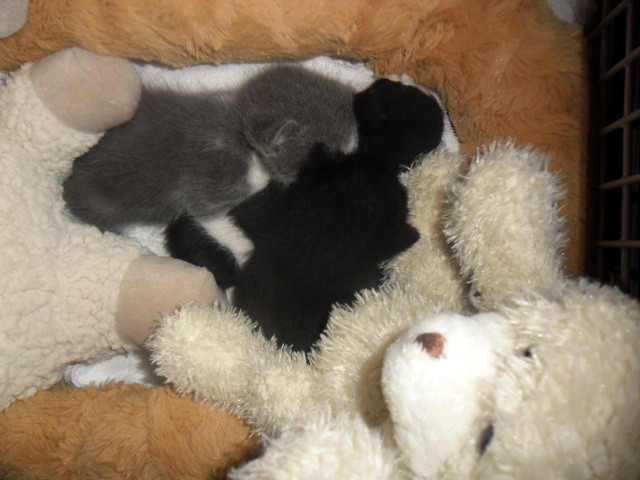 A very young mother who had kittens in the beginning of May. 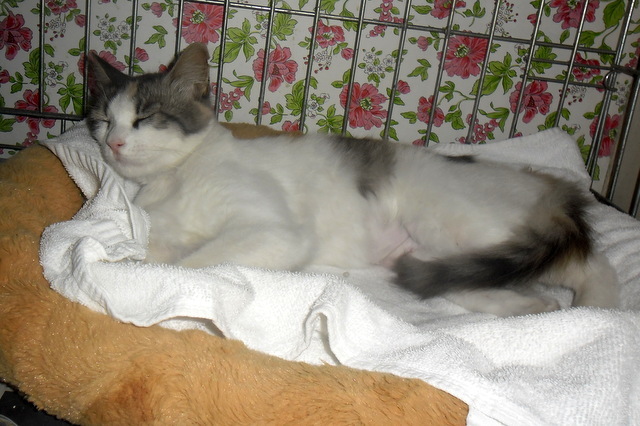 We are very happy that she was caught and neutered because her little (handicapped) body wouldn't take another pregnancy. Friday evening he showed up all of a sudden but he was limping on his left hind leg. 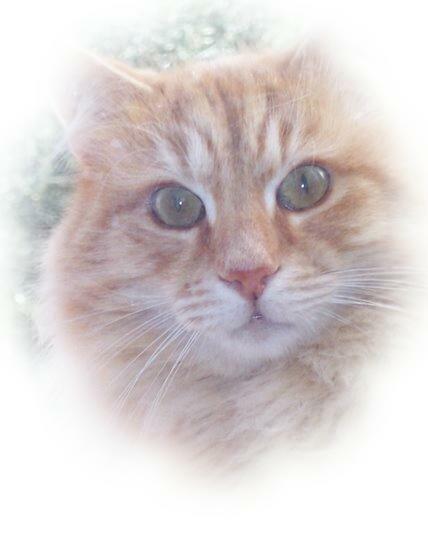 We managed to close him in a room and Saturday morning we took him to the vet. X-rays were taken which showed that his leg was not broken but he had enlarged lymph nodes and severe diarrhea. 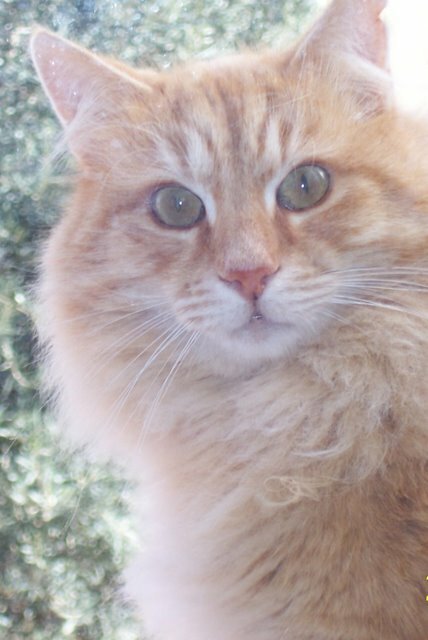 He had several injections and medication for the coming 7 days. They are approx. 2 - 2.5 weeks old. 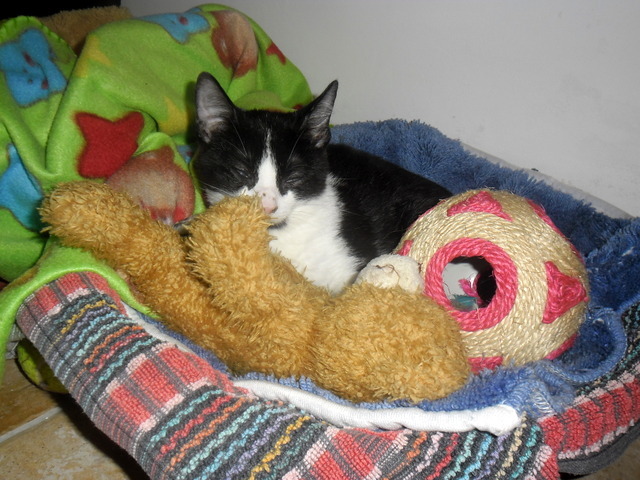 Picolino (Zorro now) and Alex (Bernie now) were visited in their new home. 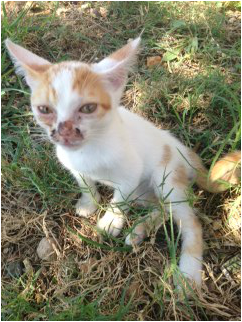 We are a bit worried about the eyes and nose of Zorro but his new mummy will take him to the vet this week to check him. 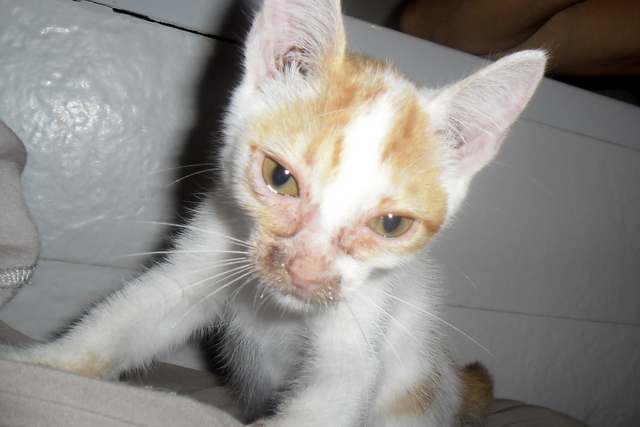 A tourist reported a sick kitten in a colony near a hotel in Mellieha. We went to pick her up and she's in our care now. 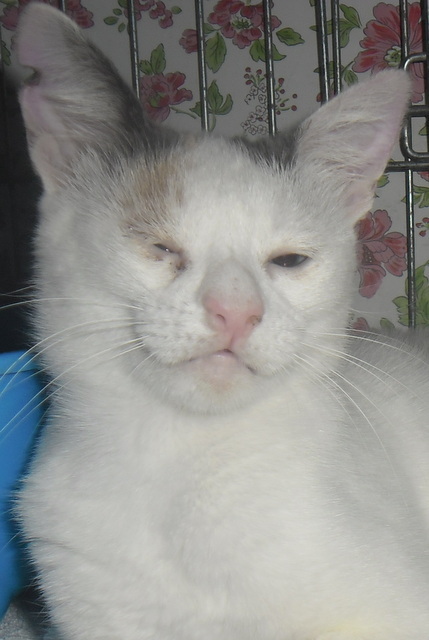 The lovely lady who reported her wants to adopt her so we're gonna arrange her vaccinations, pet passport etc. and when she's healthy we'll send her to the UK. Fourteen NGOs involved in animal welfare today shared 3,000 euros raised in the Classics under the Stars concert recently hosted by the prime minister and his wife. The funds were distributed today by Mrs Michelle Muscat in a ceremony at Villa Francia in Lija. 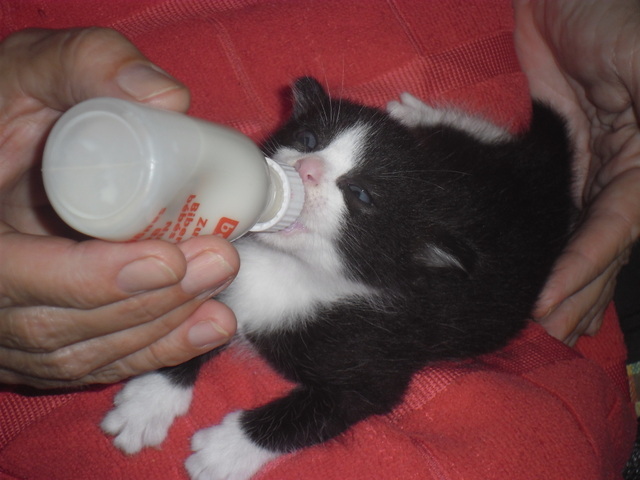 Each NGO received a donation of € 214,--. Bro had his weekly check-up. 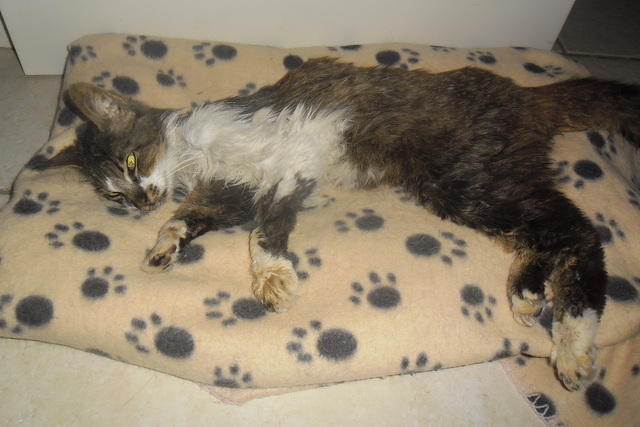 Katy looked very sick and at least we managed to catch her. An ultrasound and urine-test were done and she has a severe urinary tract infection. She's in our recovery-room and on medication for 10 days. 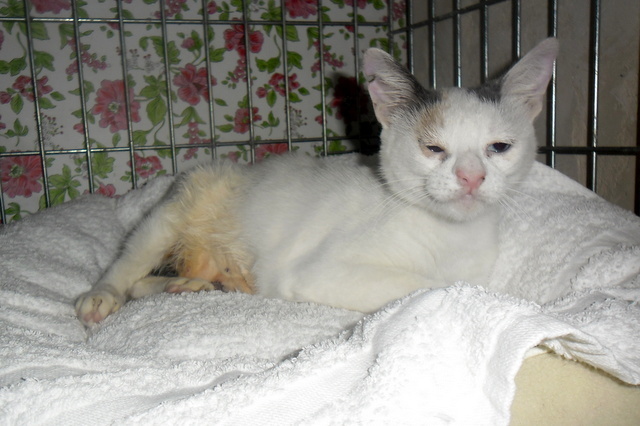 Snoezepoes was one of the females who was neutered this week. 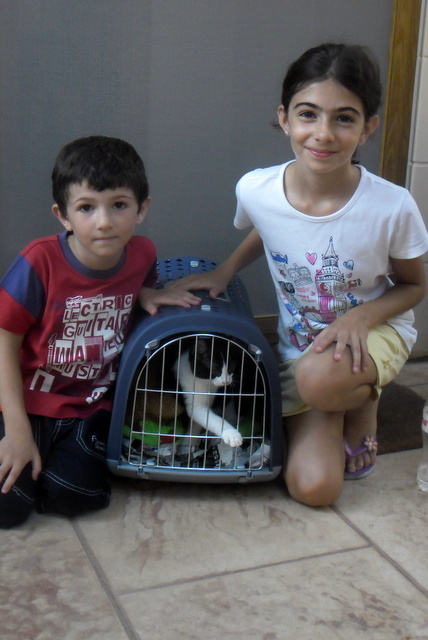 Alex and Picolino were adopted by the lovely family Zammit. 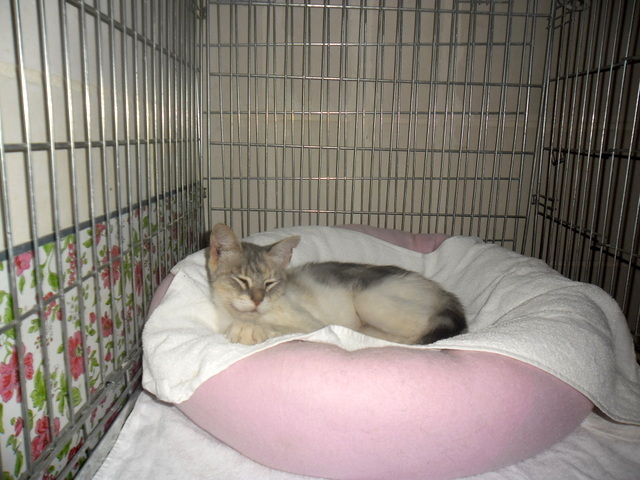 Several females were caught and neutered this week. 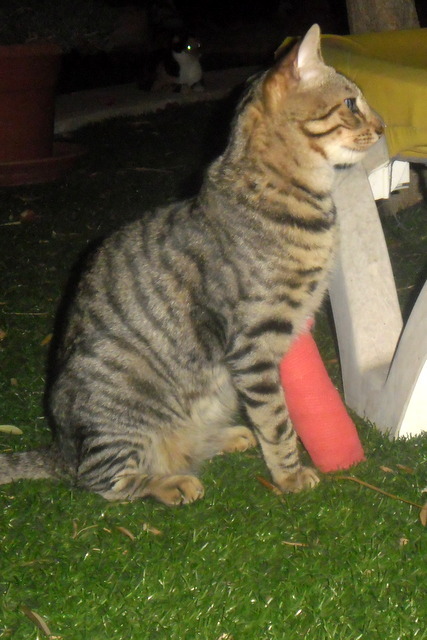 His bandage was loosened because his paw was a bit inflamed. 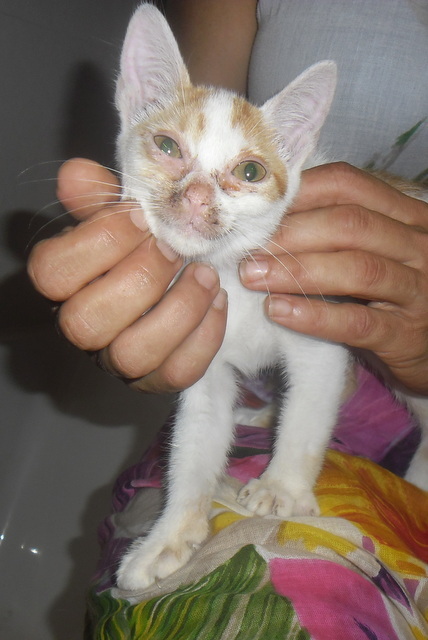 Zebbelina's mouth was checked after a week of antibiotics. There's still a bit of infection but she should be ok after another 2 days.